There are different types of park passes you can purchase or pick up to help ensure your adventures go off without a hitch. Check them out below and learn which one is right for you. Click the pass you’d like and make it your own! This pass is our most popular and a good all-around choice for those looking to save some money on their adventures. It is good only for day-use entrance fees at Utah State Parks for 1 year from the month it is purchased. 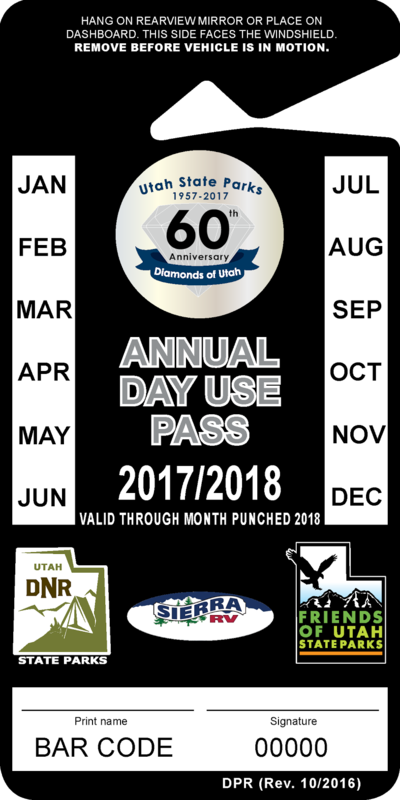 Passes cannot be used at the Jordan River OHV Center or at This Is the Place Heritage Park and does not cover the Davis County Causeway fee at Antelope Island State Park. Passes does not provide a discount for camping. 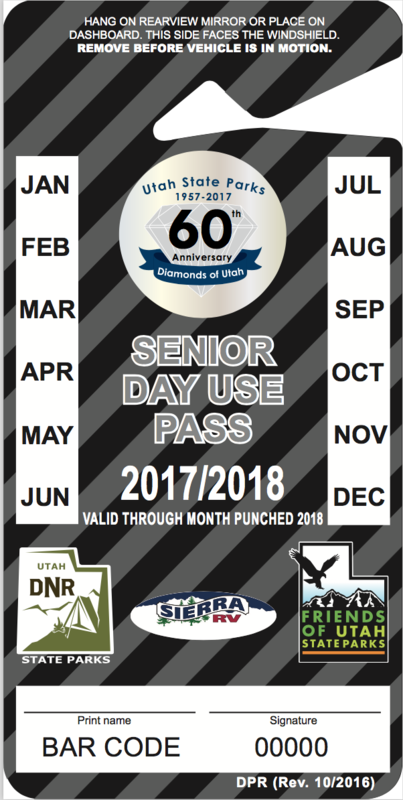 This pass is good only for day use entrance fees at Utah State Parks for visitors 62 years of age and over. It is good only for day-use entrance fees at Utah State Parks for 1 year from the month it is purchased. Passes cannot be used at the Jordan River OHV Center or at This Is the Place Heritage Park and does not cover the Davis County Causeway fee at Antelope Island State Park. Passes do not provide a discount for camping. As of July 1, 2016, the Division has offered a FREE Honor Pass to qualified veterans who were honorably discharged and have a service-related disability rating of 50% or greater. 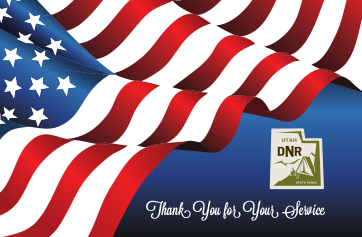 Veterans meeting this requirement will need to provide a current Summary of Benefits letter issued by the Department of Veteran Affairs in order to obtain the Honor Pass at select locations across Utah. Check out the pickup list for a listing of sites where you can pick up your pass!